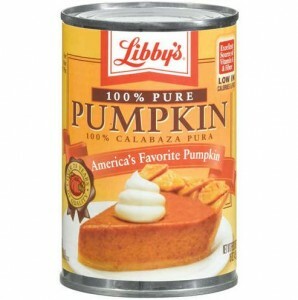 Home > Printable Coupons > Libby’s Pumpkin Coupons + Target Deal! Libby’s Pumpkin Coupons + Target Deal! The season for Pumpkin flavored everything is upon us and there are two new Libby’s pumpkin coupons to help you save on those yummy fall flavors! The first is a manufacturer coupon found on the Target website. Print the second for even more savings. Hurry, because these won’t last long!